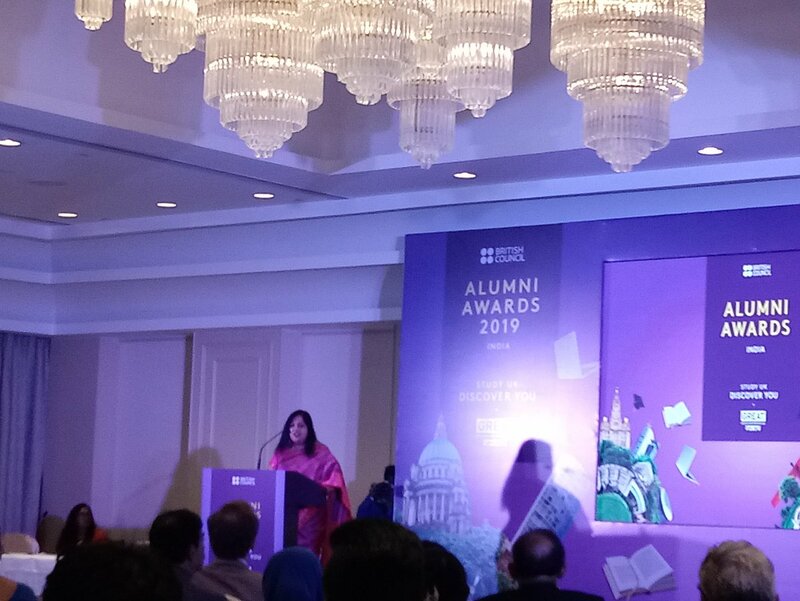 Director of British Council, Chennai kickstarting the UK Alumni Awards 2019 event. 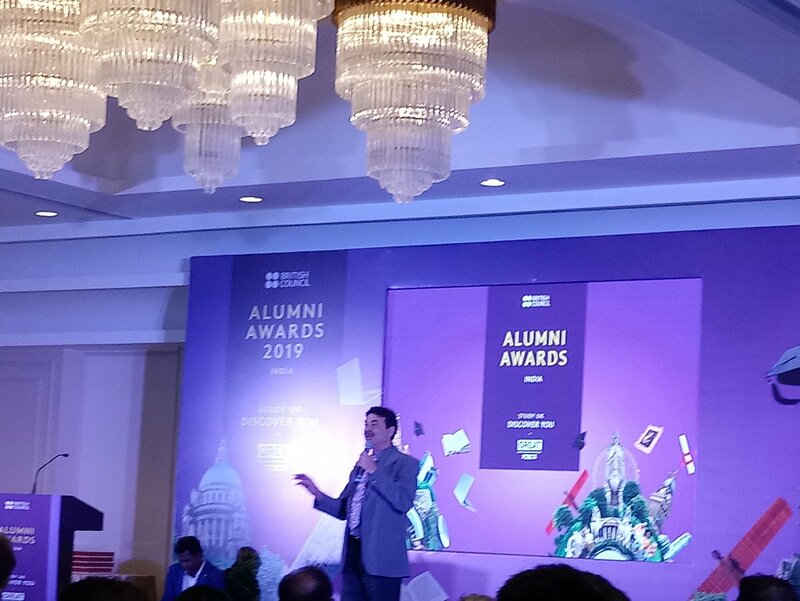 I was invited to the UK Alumni Awards 2019 ceremony that was held at Taj Connemara, Chennai, on Mar. 15. It seems this is the first time this award ceremony has been held outside Delhi. Alumni Awards celebrate the achievement of international alumni who have studied at a UK institution within the last ten years. There are three categories under which outstanding alumni are chosen – Social Impact Award, Professional Achievement Award & Entrepreneurial Award. The names of the finalists in each category are listed here. 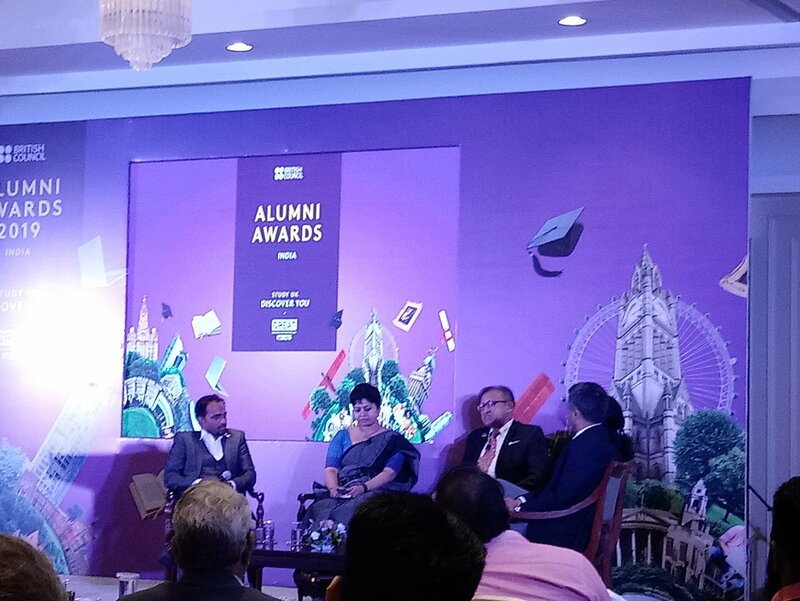 Before the awards ceremony began, there was a panel discussion on the state of education and the need to refine it in conjunction with the market demand. A senior bureaucrat from Telangana, who also happens to be an alumni from a UK Educational Institution, shared his insights on the Govt. initiatives in the state that seek to bridge the gap between students’ skills and industry expectations. They have a program called TASKS in which the course modules are designed by industry professionals, and are offered to college students. He said that this initiative enabled the state to produce more job-ready graduates. For example, a course on Tizen, a mobile OS developed by Samsung, is available only in Telangana colleges as a part of this initiative. 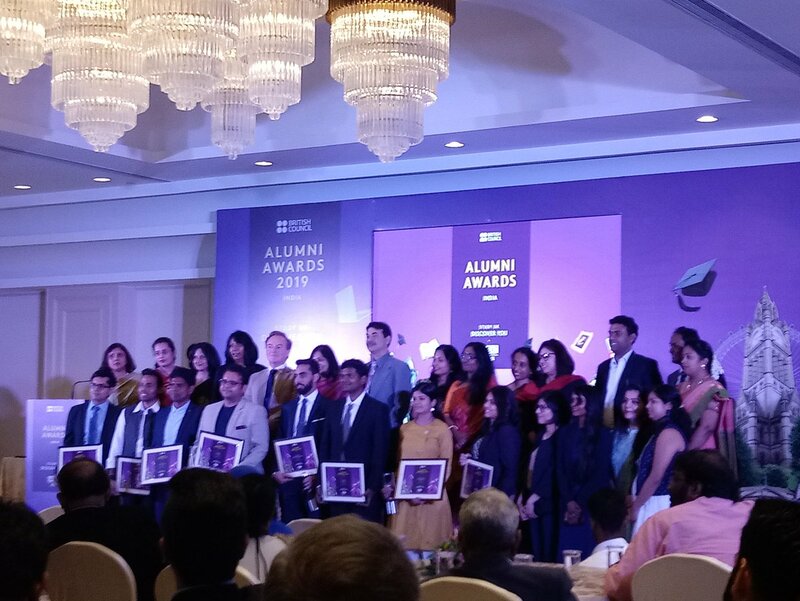 UK Alumni Awards 2019 Finalists, Winners and British Council staff. A short film about the benefits of studying in UK Universities was screened. There was also a short fusion music concert with violin and drums post which the winners were announced. #1. Social Impact Award winner Rupal Ganesh Kulkarni is an alumnus of London School of Economics and Political Science. She is the CEO of Shram Sarathi, which works on financial inclusion of migrant labourers in India, especially in Tribal & Rural areas of Rajasthan. #2. Professional Award winner Abhijit Mitra is an alumnus of University of Leeds. He is the Project Investigator in BT Global Research and Innovation programme at IIT Delhi. His work will enable 5G services over metro networks. #3. Entrepreneurial Award winner Shiv Dhawan is an alumnus of London School of Economics and Political Science. He is the director of India on Track, a leading Sports Management Firm in India and co-founded the Global Institute of Sports Business in Mumbai.